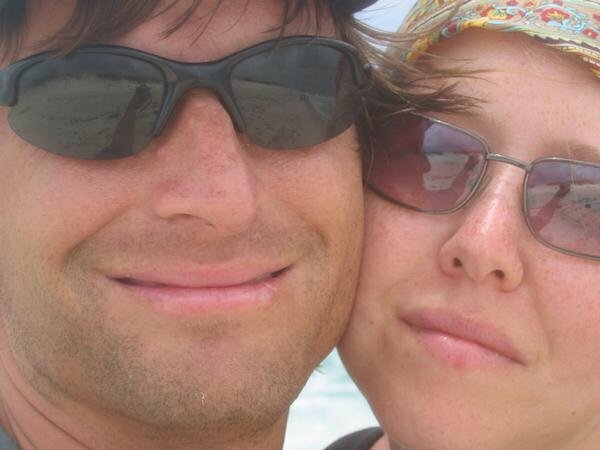 As many of my social media followers know, Ryan and I recently celebrated 16-years of marriage in Denver this month, however, that was not where we were supposed to be celebrating. Six months ago, we’d booked a trip to Mexico with the sincere belief that our nearly 15-year-old German Shepherd wasn’t going to make it until May. I’m grateful that we were wrong, she’s still here and this makes us very happy, but this threw a wrench into our plans. Taking care of her isn’t an easy task and we couldn’t ask the pet sitter to do that for seven days, so Mexico was canceled. We’d planned to do a Tacos & Tequila tour in Puerto Vallarta, so I came up with a theme for a unique anniversary outing. 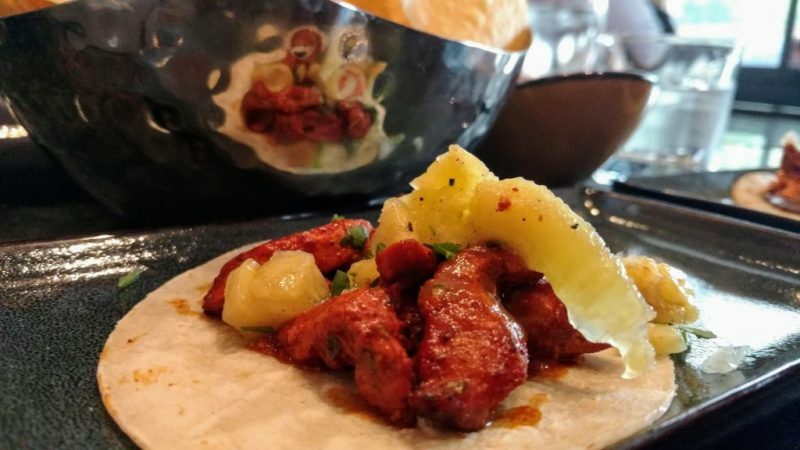 We’d spend our anniversary eating and drinking our way through Denver’s best taco and tequila joints. Here’s how the outing unfolded. The tequila selection at Lola es muy hermoso. Once we’d checked into The Ramble Hotel, a beautiful new property in Denver’s RiNo District, we headed out on foot. I’d read that Blake Street Tavern had a good tequila selection. I was wrong. I have no idea what I had read but Blake Street Tavern does not have a good tequila selection, so we called Lyft and headed to the Highlands. Despite the busy Friday happy hour crowd, we managed to get two seats at the bar, a stroke of luck that stayed with us for the rest of the night. These red fish tacos were the prettiest tacos we had and our second favorite on the night. 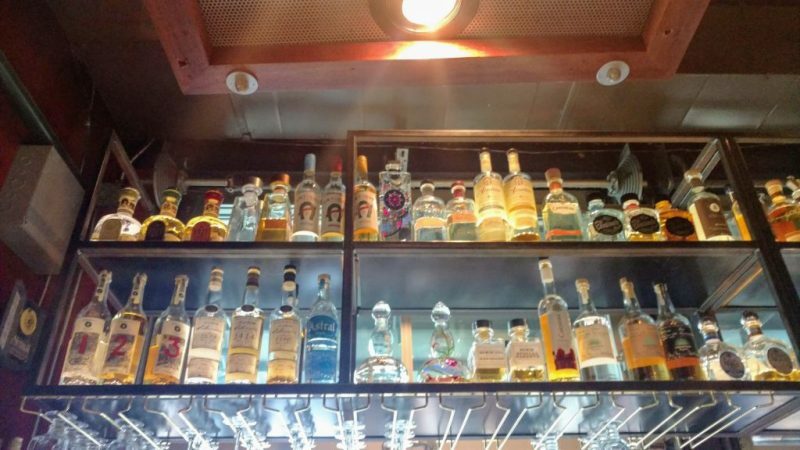 Lola has an amazing tequila selection—more than 200 in fact, and happily, our bartender was a big tequila fan too. Ryan ordered a Chamuco and I got the Sotol, a surprisingly affordable, but delicious Mexican spirit that we discovered last year. Here’s a bit about Sotol (it’s not technically a tequila). 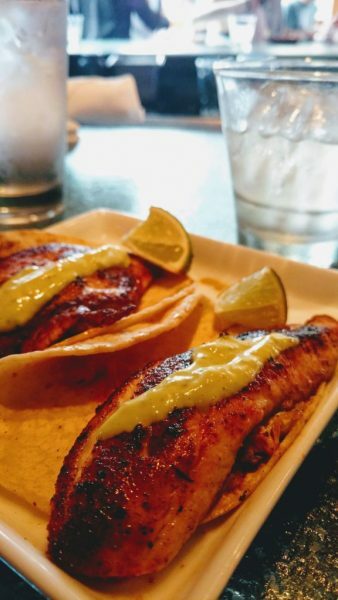 We paired our drinks with grilled redfish tacos. The grilled or fried fish is served with smoked serrano aioli and kimchito (Lola’s take on Mexican-style kimchi). 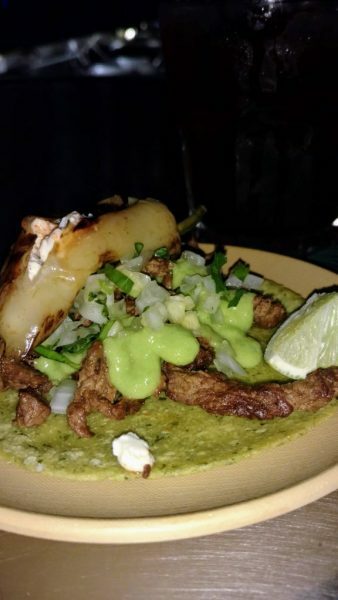 These were my second favorite tacos on our outing. I can’t wait to go back to Lola for a full dinner. 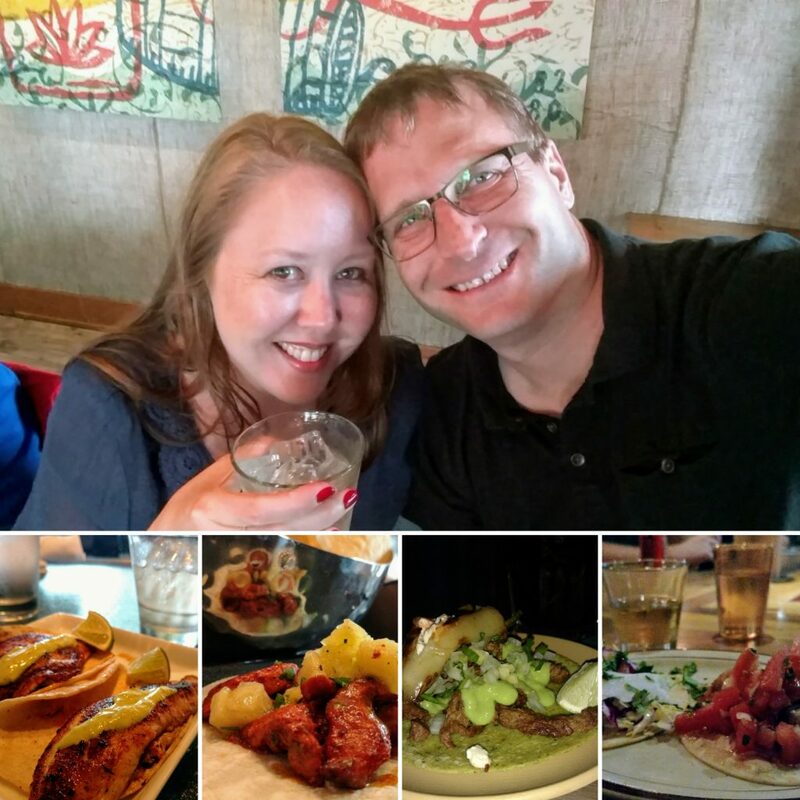 While it had been our first time visiting Lola, we’ve been to Tamayo a number of times and knew that they were an excellent place for tequila in Denver. The best part, however, was our bartender. Not only did we get seats at the bar at each stop, we also got super cool bartenders everywhere, but Tamayo’s treated us extra well. Reflections of tacos… so many tacos. This is the chicken tinga from Tamayo. Here we ordered a chicken tinga taco and an al pastor taco and two shots of Uno on the rocks after the bartender gave us a sample. Uno Dos Tres is an organic tequila brand that “Men’s Journal” has rated as one of the 18 best tequilas in the world. Their Blanco is the Uno, the Dos is a Reposado and Tres is an Anejo. Clever, right? The Uno was very smooth for a Blanco (aka Silver) and we plan to seek out this brand the next time we’re at the liquor store. From Tamayo, we took a Lyft to Horseshoe Lounge near my old office in uptown. Open for more than a decade, we have a longtime relationship with “The Shoe” despite this being only our second visit. 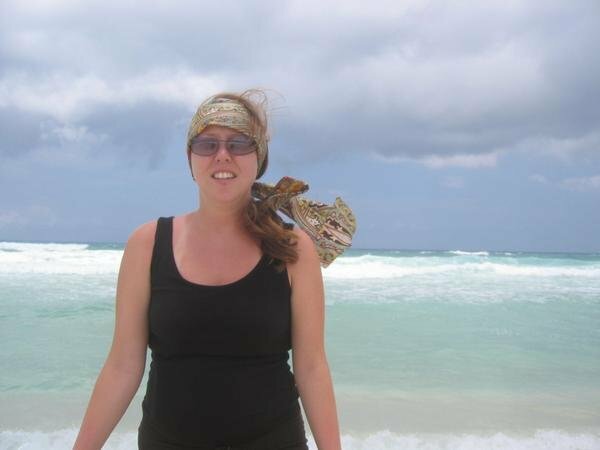 While on our sixth wedding anniversary in Cozumel, Mexico, our plane back to Denver was delayed by several hours. This was the good old days when Frontier was still doing direct flights from Denver to this charming island in the Mexican Caribbean. As we exited the tiny airport, trying to decide what to do with our time a car pulled up. It was Leigh and Matt, another Colorado couple who recognized us from the airport. They hadn’t returned their rental car yet and invited us to head to the east side of the island with them. 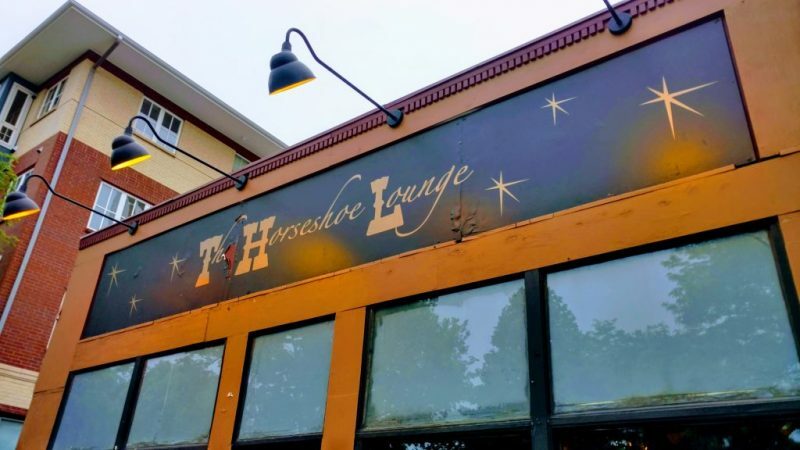 On our unexpected excursion, we learned that Leigh was part of a team that had just opened The Horseshoe Lounge—and now you see the connection. There are very few places we love as much as we love Cozumel, Mexico. Over a platter of ceviche at a beachside bar, she told us all about her new business adventure and we bonded over small business ownership and beer. As we planned our tequila & tacos outing, we decided that we had to stop by The Shoe to toast good times in Mexico, and so we did. The name of this place says it all and unsurprisingly they make all the best tacos in Denver lists. So perhaps it is unsurprising that they crafted our favorite tacos of the night—a scrumptious steak relleno taco for me and a lobster tail taco for Ryan. Sorry for the slightly fuzzy photos. It was very dark in Machete. Don’t look at this one too closely! 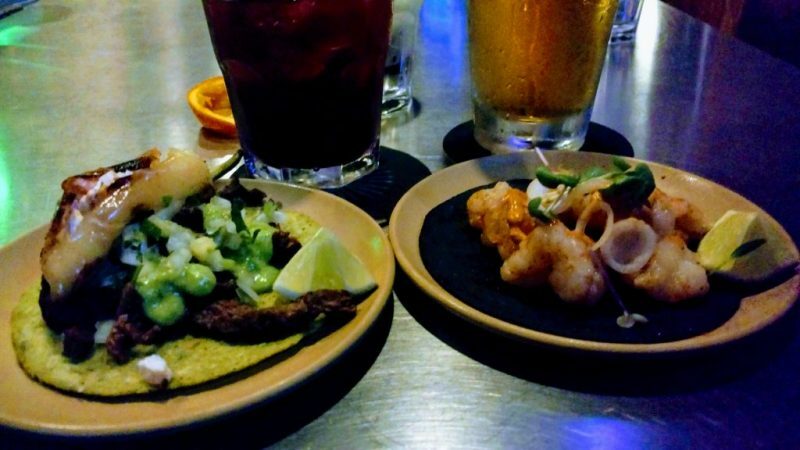 These tacos were so damn good that we didn’t feel too bad about forgoing straight tequila here. This was the most expensive tequila list we encountered; many were $2 to $3 more than the same tequila at previous restaurants. Instead, I ordered a sangria that was too cinnamon-y for my tastes and Ryan got a beer. This place gets packed, but amazingly, we managed to squeeze into the bar despite a long wait for a table. Again, despite the Friday night craziness around him, the bartender was first-rate. Chef Guard, responsible for such gourmet Denver restaurants as TAG and Guard and Grace, has opened three Los Chingones restaurants in town. We’d been to the Stapleton location and since there’s a Los Chingones across the street from The Ramble Hotel, we made that our final stop. I used the flash on this one. It was kinda awesome looking. This photo doesn’t do it justice. The bartender here wasn’t knowledgeable about tequila but she did go and get help. Ryan ended up with a Mezcal (there are four on the menu) and I had the Casa Noble Reposado. I ordered a jalapeno popper taco and the jalapeno was super spicy which was awesome because Spicy is my middle name. Ryan had a flavorful fish taco. At the Stapleton location, we’d ordered the Pigs Nachos which I highly recommend. At Los Chingones, we were surrounded by 20-somethings drinking cans of Mexican beer, so I’m not sure how much tequila on the rocks this place sells and the tequila selection was just okay. There seems to be more listed on their online menu than we actually saw on the shelf. Death & Co. in the lobby of The Ramble Hotel in Denver, Colorado. We returned The Ramble Hotel, home to Death & Co. 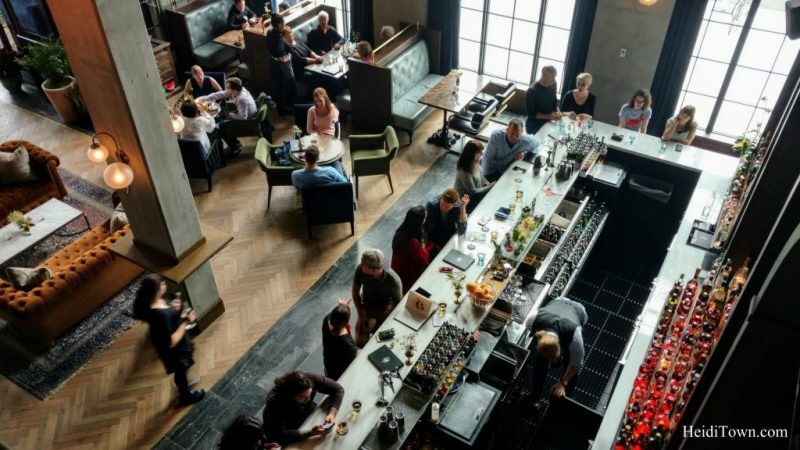 This trendy new Denver bar is incredibly popular and we couldn’t find a seat, so we called it a night—which was best because Lord knows we didn’t need anything more to drink.